GROUNDRocks create unique and challenging journeys in South East Asia (Cambodia, Indonesia, Thailand & Vietnam) for young people that strengthen leadership skills, build resilience and teach cross-cultural understanding. GROUNDRocks understands the value in cross-cultural sharing and provides a sustainable environment to enable that. 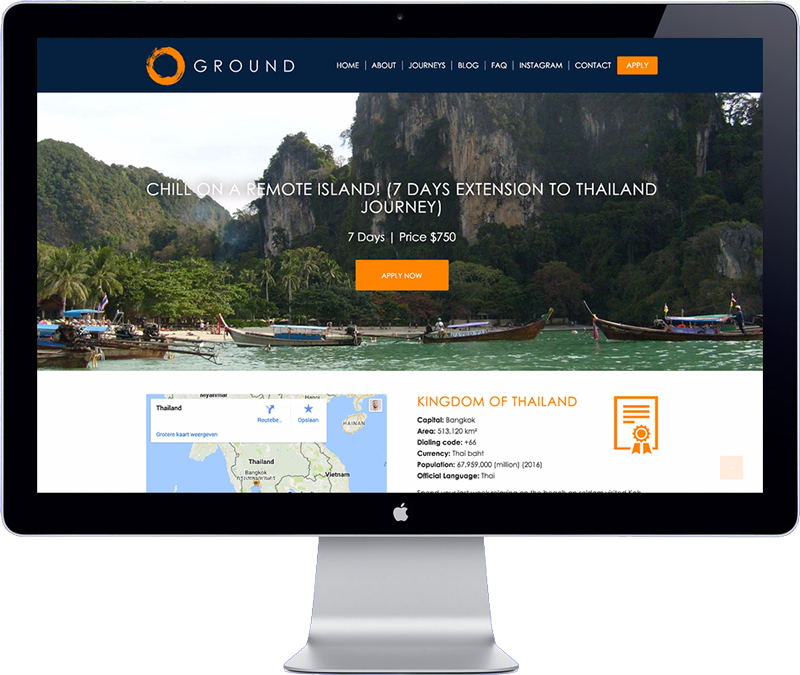 GROUNDRocks approached me to build a new company website. The new website appeals to their target group with the help from lots of visual aids such as images, graphics and videos. It informs visitors about their itineraries, publishes company news in a blog format and has a newsletter sign up form. The website is easy to update, optimized for search engines (SEO), and is setup with an SSL certificate. The website has been developed with WordPress Content Management System.